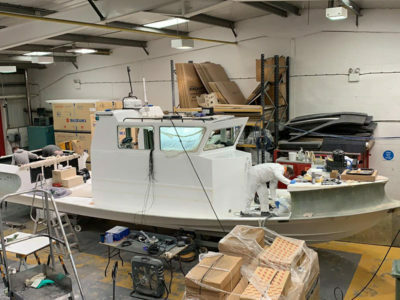 Our hovercrafts seat up to five people, service recreational and commercial clients nationally, with the expertise of our highly qualified 7-strong team. The unique capabilities of the hovercraft are recognised and appreciated by a diverse group of end users. Hovercraft are in use worldwide with search and rescue groups and scientific researchers. They have proved their worth during surveys and environmental monitoring, they can also provide a stable film and television platform in otherwise inaccessible areas. Hovercrafts are equally at home on sand, mud, grass, snow, ice, water or land, which makes them an ideal search and rescue vehicle. Hovercraft travel over the surface of the water without concern for depth or hidden obstacles, and will travel against the current with no reduction in speed. Hovercraft are unaffected by small waves and offer a comfortable smooth ride. As there are no propellers, hovercraft can operate over environmentally sensitive areas such as shallow rivers or mudflats without disturbing the surface. The lack of a wake on water minimises the potential for bank erosion, and causes little disturbance for others working or taking part in leisure activities. 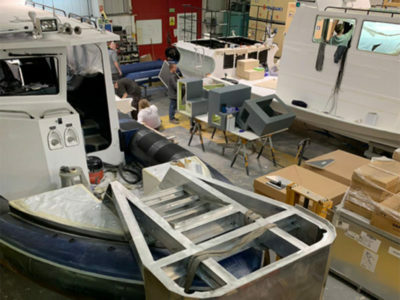 Unlike many boats, engine exhaust fumes are not directed into the water and poisonous anti-fouling compounds are not required, making the hovercraft an environmentally friendly option. Hovercraft leave no footprints. In sensitive environments they will harmlessly pass over terrain that tracked or wheeled vehicles would damage. Our hovercraft can operate effectively over hazardous conditions such as thin ice, sand, mud and grassy banks. This makes it well suited as a platform for scientists undertaking inspections, sample gathering and research, as well as conducting environmental monitoring. The craft do not create a wake or direct engine exhaust fumes underwater like many boats, this allows the collection of undisturbed water samples from sensitive habitats, regardless of water depth. 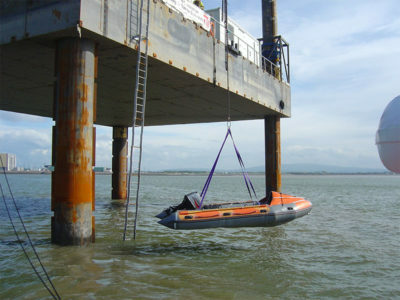 Using the hovercraft allows the transportation of scientific personnel to inaccessible working areas. 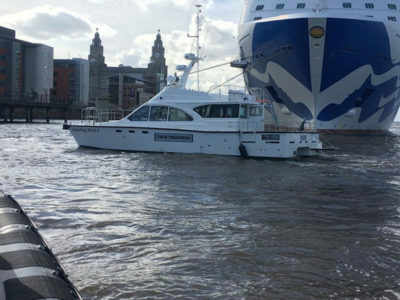 A recent contract for English Nature involved transporting two marine biologists to multiple waypoints to collect samples and data as part of a survey covering Morecambe Bay and the Dudon Estuary. We spent approximately 10 minutes in each position (determined by GPS Positioning), enabling the biologists to carry out environmental tests and collect photpgraphic data before being flown to the next position. We can provide all wet weather clothing and safety equipment for any scientists conducting research. 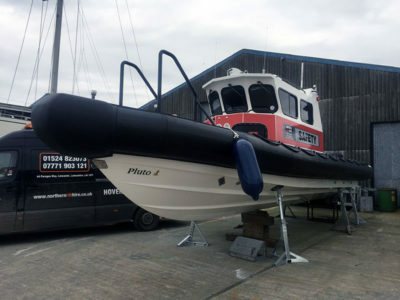 Hovercraft are particularly useful for the transportation of personnel in challenging environments and can act as a stationary or dynamic film platform. Our hovercraft can be used to access film locations that would be otherwise inaccessible and they can also double as a set wind generator. Our craft each hold a maximum of 5 people, which means we can safely transport actors or technical crew, including equipment to the location. Hovercraft have been used in a number of movies, including James Bond in Die Another Day. 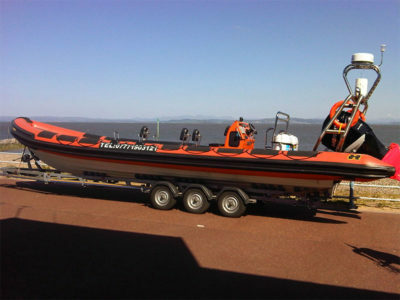 Already being used extensively for covering sporting events on water, hovercraft are becoming more frequently called on in the reporting of breaking news stories, Floods, rescues, river and environmental incidents, all require crews to be on location in areas that could prove to be potentially dangerous. We currently operate ‘Osprey Mark 5’ hovercraft. These highly diverse craft are each capable of transporting up to 5 people and/or equipment to and from otherwise inaccessable areas. 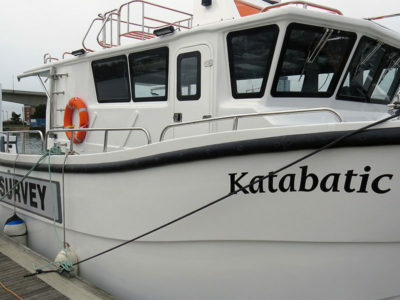 They can operate in various weather conditions and are not limited like boats by tide or water depth. 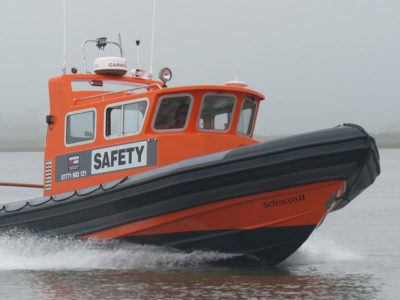 They are equipped with VHF Radio’s, GPS and all safety equipment for stand by and safety boat duties.